ARTICLE 19 and more than 30 other human rights organisations call on the Saudi authorities to immediately and unconditionally release all human rights defenders who have been arrested and detained over the past two weeks solely for supporting women’s rights or other peaceful human rights work in Saudi Arabia. We further call on the authorities to immediately reveal their whereabouts, allow them access to their families and lawyers of their choice, hold transparent investigations and guarantee their right to a fair trial in adherence to international legal standards; while we believe that all charges against them must be dropped and they should be immediately released. We are particularly alarmed that some of those arrested could face prison sentences for their peaceful and legitimate human rights work, including their decades-long campaigning to lift the driving ban – ironically barely a month before the authorities are set to finally lift it and enable women in the country to drive legally. The undersigned groups know of at least 12 named human rights defenders arrested in Saudi Arabia since 15 May 2018. They include advocates and supporters of the #Oct26driving, #Right2Drive and #IAmMyOwnGuardian campaigns that dared to speak openly about human rights violations in Saudi Arabia and have criticised state discrimination against women in Saudi Arabia. State media outlets have publicly declared seven women’s rights defenders and supporters of the women’s rights movement as traitors, including Loujain Al-Hathloul, a well-known women’s rights defender on social media who was arrested on 15 May; Dr. Eman Al-Nafjan, founder and author of the Saudiwoman’s Weblog, who had previously protested the driving ban; Aziza Al-Yousef, a prominent campaigner for women’s rights; Dr. Ibrahim Al-Modaimegh, a lawyer and human rights defender; writer Mohammad Al-Rabea; Abdulaziz Al-Mesha’al, businessman and board member of a women’s rights NGO; and an unnamed man. Saudi state media also announced the arrest of Ibrahim Fahad Al-Nafjan. Saudi human rights defenders confirmed the arrest of four other women’s rights defenders who have since been released, including Dr. Aisha Al-Manae, Dr. Hessa Al-Sheikh and Dr. Madeha Al-Ajroush, participants of Saudi Arabia’s first women’s protest movement demanding the right to drive in 1990 when 47 women were arrested for driving and lost their passports and jobs. Walaa Al-Shubbar, a young activist well-known for her campaigning against the guardianship system was also among those arrested and released in recent weeks. All arrested indiduals are academics and professionals who supported women’s rights and provided assistance to survivers of gender-based violence. On 23 May 2018, Dr. Aisha Al-Manae was released from custody, possibly due to illness. Two days later, the Saudi authorities also released Dr. Hessa Al-Sheikh, Dr. Madeha Al-Ajroush, and Walaa Al-Shubbar. The conditions of their release remain unknown. 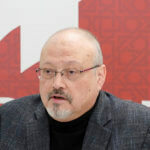 Saudi authorities have since arrested Mohammad Al-Bajadi, a human rights defender and founding member of the Civil and Political Rights Association in Saudi Arabia. Shortly after, official and semi-official media outlets started naming and shaming detained human rights defenders on their front pages and social media accounts calling them “traitors” and “agents of embassies” (عملاء_السفارات#). It is believed that the SPA statement refers directly to the rights defenders named by Saudi media outlets. SPA most recently reported that 17 people have been arrested since 15 May, and eight have been released, leaving five men and four women facing charges. 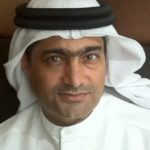 The current crackdown on women human rights defenders, which started in January 2018 when the Gulf Centre for Human Rights and local partners verified the arrest of at least two women human rights defenders, including Noha Al-Balawi and Maria Naji, is part of a larger crackdown on human rights defenders that has escalated over the past years. On 10 November 2017, the Specialised Criminal Court in Riyadh sentenced woman human rights defender Naimah Al-Matrod to six years in jail. These latest arrests come following promises of reforms announced in 2017 as part of Saudi Arabia’s Vision 2030 plan, which Crown Prince Mohamed Bin Salman has enthusiastically promoted. We are extremely concerned about the conditions and fate of detained human rights defenders, especially as their whereabouts remain unknown, including Loujain Al-Hathloul, Eman Al-Nafjan and Aziza Al-Yousef, who continue to be detained incommunicado. Saudi sources close to Loujain Al-Hathloul say that her detention is an act of reprisal for her engagement with international human rights mechanisms, including UN human rights bodies. During the 69th session of the Committee on the Elimination of all Forms of Discrimination Against Women, three human rights NGOs presented a report that concluded that there had been insufficient progress on women’s rights in Saudi Arabia and that the Saudi authorities should address continuing violations of women’s rights more comprehensively. Saudi Arabia issued a royal decree in September 2017 announcing that women would be allowed to drive as of 24 June 2018, offering the image promoted by Saudi-funded public relations firms that Saudi Crown Prince Mohammed bin Salman was a reformer. However, following the announcement, officials in the royal court specifically warned women human rights defenders to remain silent and told them not to give media interviews or post on social media. Guarantee in all circumstances that all human rights defenders, including women’s rights defenders, are able to carry out their legitimate human rights activities without fear of reprisal. We ask all supporters to please write a letter, send an email, call, fax or tweet using the hashtag #ReleaseSaudiWHRDs urging the Saudi authorities to act on the above recommendations.